Kids who bully need help developing problem-solving skills that don’t involve aggression. Provide them with opportunities to use their natural leadership skills in a positive way, for example, get them to teach younger students a new sport or skill. Help kids who bully resist peer pressure by letting them know you believe they can change their behaviour. Encourage positive connections among children by praising respectful and cooperative behaviour whenever it happens. Try and focus on the positive behaviours of all students, even when they need correcting. Children are works in progress – they can’t always get it right – they learn through trial and error. Children who bully need help in understanding the impact of their actions. Formative consequences are designed to send the message that bullying is unacceptable while also providing support for children who bully to learn the social skills and empathy they may lack. 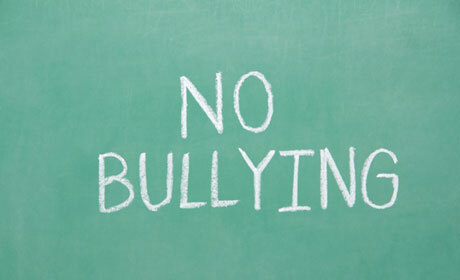 Have students create a poster, collage, or drawing of what it must feel like to be bullied. Talk about the feelings that children who are bullied might experience: shame, embarrassment, anger, fear or sadness. Assign students a research project where they have to learn about the prevalence, nature, and consequences of bullying and write a paper or create a class presentation based on their findings. Have the students who bully interview an adult or older student about their bullying experiences and the impact it had on him/her. Assign a project requiring the students who bully to research a historical figure or celebrity who has been bullied. Have the students watch a movie about bullying and describe the characters and the consequences of their actions (e.g., Mean Girls, Back to the Future). Encourage them to focus on the feelings of the victimized character. Help them to identify these feelings by looking out for facial expressions, body posture, and tone of voice. Have your students identify instances of bullying in the media (e.g., television, newspapers, radio, magazines, websites) and talk with them about their reactions to these instances. Talk with your students about their own strengths and weaknesses and how they can use power to help, not hurt, others. Other tips on how children can make amends and be empowered through kindness.